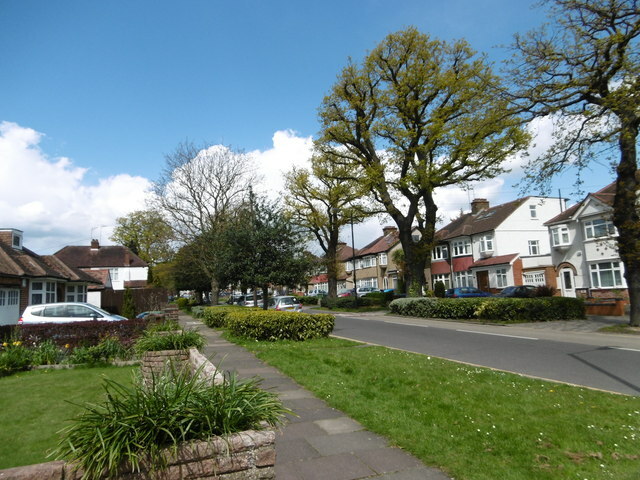 The road, from which Rayners Lane Underground station takes its name, runs north from the station to Pinner. It is pleasantly tree-lined. This is just past Hillcroft Avenue. © Copyright Marathon and licensed for reuse under this Creative Commons Licence.